John Diggins’ Why Niebuhr Now? reviewed: How did he become the philosopher of the post-9/11 era? Why have the right and the left resurrected Reinhold Niebuhr? Photograph by Matt Cardy/Getty Images. Schlesinger died in 2007, but he lived long enough to see his beloved Niebuhr revived. Indeed, Niebuhr has somehow become the go-to thinker in the age of terrorism. He has been invoked for various purposes by the neoconservative columnist David Brooks, the liberal journalist Peter Beinart, and the isolationist professor Andrew Bacevich. Politicians have gotten in on the act too: Republican Sen. John McCain, then-New York Gov. Eliot Spitzer, and President Barack Obama have all cited Niebuhr to serve their needs in recent years. “In think tanks, on op-ed pages, and on divinity-school quadrangles, Niebuhr’s ideas are more prominent at any time since his death, in 1971,” the Atlantic reported in 2007. How did it come to pass that a man born in 1892, when Benjamin Harrison was in the White House, became the philosopher of the post-9/11 era? Answering that question was the last scholarly task undertaken by the intellectual historian John Patrick Diggins. Diggins, the author of thoughtful studies of Ronald Reagan, Eugene O’Neill, and Max Weber, among other subjects, died in 2009 before fully completing the manuscript of his book on Niebuhr. A former student of his finished the project and the result is Why Niebuhr Now? Despite its title, Diggins never attempts to explain the reasons for Niebuhr’s current resurrection. Instead he sets out to clarify Niebuhr’s basic thought in separate chapters on religion, ideology, and American history. 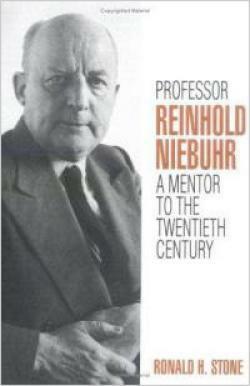 Though his thematic organization has a way of blurring the evolution of Niebuhr’s ideas, and sometimes wrenching them from their context, Diggins’ mission indirectly offers an answer to his question: Part of the reason Niebuhr has so many and such disparate admirers is that, mostly thanks to his intellectual growth and nuanced thinking, there was a Niebuhr for every occasion. Alternately a Wilsonian idealist, a pacifist, a socialist, a New Dealer, an anti-fascist, a Cold Warrior, and a realist in the style of his friends Hans Morgenthau and George Kennan, Niebuhr went through more incarnations than Krishna. If there was something in Niebuhr’s evolution that made him seem almost like Woody Allen’s Zelig, opportunism was not the primary force at work. He was remarkably attuned to the events of his time, yet his responses were anything but reflexive or self-serving. On the contrary, he was an exceptionally complex thinker, willing to court charges of inconsistency and ever alert to unintended consequences. All of which makes sense because Reinhold Niebuhr was first and foremost a pastor and theologian, not a policy analyst. Diggins reminds us that Niebuhr’s genius was principally in recasting Christian thought to make it not only relevant but urgently useful in grappling with the problems of the 20th century. “Whether a supreme being exists was of less importance to Reinhold Niebuhr than the message Christianity holds out to humankind,” Diggins writes. In Niebuhr’s hands, the myth of the Fall from the Garden of Eden and the doctrine of original sin were enduring insights about the imperfectability of mankind. Unlike Marxism, liberalism, and fascism, “prophetic Christianity” contained internal checks on utopian aspirations. And yet, Niebuhr believed that even as man was fundamentally flawed, he was “called” to seek justice—not in the hereafter, but in the temporal world. The complete justice of the kingdom of God was beyond attainment by human beings, and yet it was essential to continually strive for the best possible outcome, however qualified. In his magnum opus, The Nature and Destiny of Man (1941), Niebuhr wrote that the Christian is “ ’both sinner and righteous’ … Christ is what we ought to be and also what we cannot be.” A wise man recognizes “that the power of God is in us and the power of God is against us in judgement and mercy.” If this sounds paradoxical, that was the point. He had the sermonizer’s appreciation of the power of contradictions to heighten moral awareness. Niebuhr’s preoccupation with sin and imperfection led him frequently to endorse the middle spot between two poles. His most lasting political book, The Children of Light and the Children of Darkness (1944), was written at the height of the midcentury debate over the viability of liberal democracy. At a time when many Western intellectuals were arguing that the future lay in Soviet-style socialism, Niebuhr spoke out for democracy as a bulwark against any “undue centralization of power,” whether “priestly, military, economic, or political.” By constraining utopian impulses emerging from all sides, he argued, democracy is able to attain a measure of peace and justice—but only a measure. Ever alert to the perils of fanaticism, as well as undue optimism or bleak pessimism, Niebuhr remained a small-d democrat who prioritized the possible over the ideal through his various political incarnations. And yet the problem with balanced thought is that it can easily be manipulated. Niebuhr’s principles were so elastic and general that they can be plausibly interpreted and applied in nearly infinite ways. Any war or political act can be explained as pragmatic or humble—as a median between two extremes—depending on where the goalposts are placed. That is why Niebuhr was able to endorse events and ideas as seemingly contradictory as nuclear deterrence and Kennan-style anti-anti-communism, which abhorred nuclear weapons. It should come as no surprise that Niebuhr’s spirit has been invoked in a variety of conflicting ways in our current Libyan crisis. David Brooks of the New York Times cast the intervention as Niebuhrian on the grounds that it was done reluctantly, (at least originally) with the modest goal of stopping an impending massacre, and with an awareness of the moral complexities on the ground. At the same time, in the American Prospect, Adam Serwer made the case that it was anti-Niebuhrian. The intervention, he argued, was justified by the purity of its intentions, and President Obama invoked American exceptionalism, both ideas Niebuhr persistently opposed. Similarly, even while writing that “pressing Niebuhr into service on behalf of any and all causes will make him irrelevant,” Andrew Bacevich has appropriated the pastor on behalf of anti-interventionism, calling him a “prophet” who foresaw that America would fall prey to its messianic instincts. Ultimately, though, Niebuhr’s diversity and unpredictability make applying his thought with any precision to contemporary problems an impossibility. The answer to the question “What would Niebuhr say?” is: We don’t know. Even if Niebuhr cannot offer policy prescriptions of the sort his followers yearn for, he remains a uniquely valuable voice. Reading Diggins’ brief treatise is a reminder of the void in American culture that Niebuhr managed to fill as a highbrow Christian thinker whose ideas were debated by the intelligentsia. Because Niebuhr’s thoughts on human nature and society were only rooted in, not exclusively derived from, a biblical worldview, they spoke to non-Christians and believers alike as they wrestled with their political principles during a dark century. Those few religious intellectuals who even attempt to speak to a secular audience, such as Jim Wallis and Michael Lerner on the left or the theoconservatives at the journal First Things, lack Niebuhr’s intellect, mass appeal, and genuinely insightful engagement with the great problems of the day. But perhaps it is impossible for any theologian to straddle the profound divides in post-1960s American life over sexual freedom, science, and American exceptionalism. And perhaps, given this rare Christian thinker’s skepticism about life after death, it is only fitting that Niebuhr has no heir.